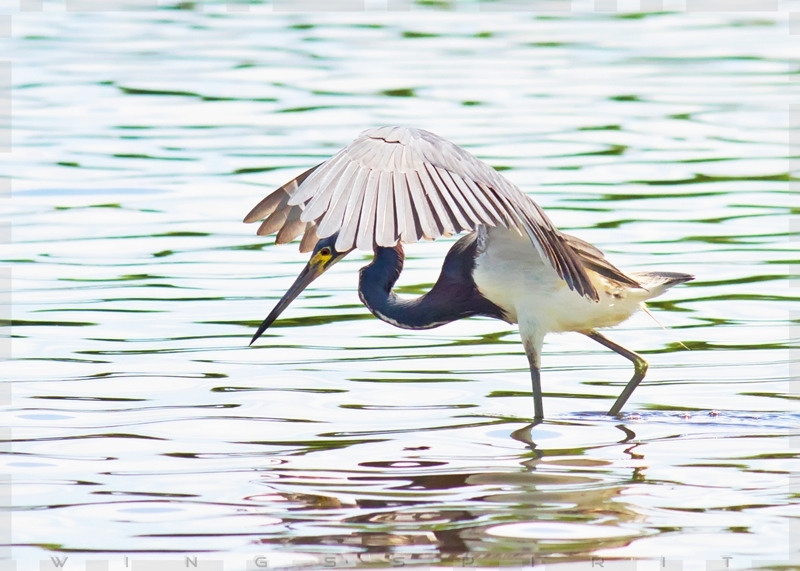 Tricolored Heron (Egretta tricolor) is a small heron breed in the southeast states of the United States, northern Mexico and South America. They prey fish in shallow water by stalking and running from place to place. Watching them chasing after their prey was comical. I was told by one of my master birder class teachers that the reason herons open their wings is to cover the sun so they can have better vision. Somehow I was wondering why not all herons adopt this skill. 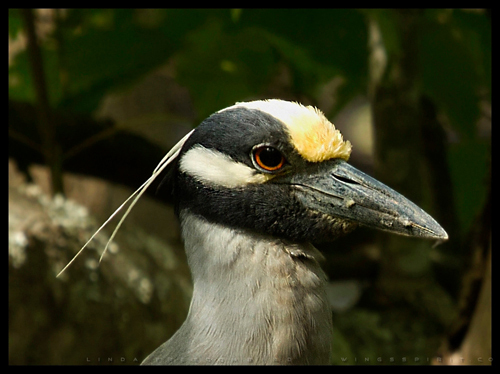 Later I found out that though herons might have similar feeding behavior of standing still, each species of heron has its species-specific behavior of preying. Green Heron likes to use bait such as bread, flowers, twigs to lure fish; Great Blue Heron's long, S-shaped neck can spear prey at a distance; Little Blue Heron stays white plumage for the first year so they can mix with Snowy Egrets to gain protection and catch more fish; night herons generally nocturnal, they hide and roost during the day, hunt at night. However, they will feed during the day when they bear young. 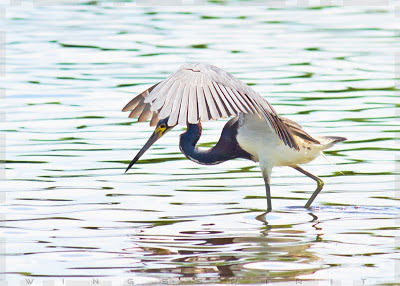 Tricolored Heron like to dance with their fish by spreading their wings to gain balance during quick movement from place to place.